Everybody likes a polite horse. Nobody likes to feed a pushy or aggressive horse. When someone writes me on what to do when their horses are aggressive or crowding at feeding time, I just say "don't feed them when they are pushy or impolite, you are just teaching them that this behavior is okay. You need to back them off." 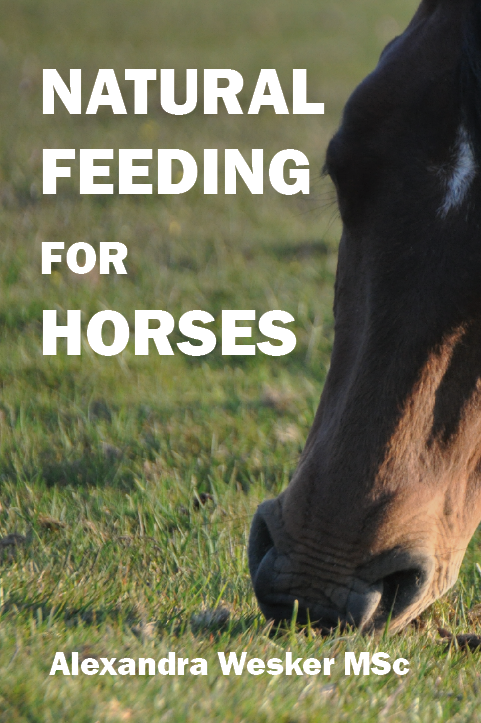 I will eventually find, in the local area, a feed aggressive horse that someone wants helps with and do a better article on how to correct, but until then this article will have to do to address the requests I get on horses that are pushy during feedings. We've all likely seen horses try to herd people with an arm full of hay or try to take hay out of the person's hands when they are heading to a feed bin. There is nothing cute about that, it is potentially dangerous behavior. Excuses like "well, he's very hungry", or "he feels comfortable enough to eat out of my arms", are just that excuses. You are doing a disservice to your horses when you allow this. I know several people who no longer allow horses to be boarded at their places, sometimes because the part time owners would often unwittingly teach their horses bad behaviors which manifested especially at feeding times. I used to have a boarder, even though we fed that horse twice a day, would often give the horse treats by hand and allowed their horse to push on them looking for treats. Well, to make a long story shorter, one day that horse about ran me over when I was feeding one morning, so from then on I made that horse go to the other end of the pen before I dropped the feed into the feeder. In the beginning when I sent her to the other end of the pen, she would try to inch closer to me (and the feed) so I would have to drive her back to the far end. Also in the beginning once I dropped the feed into the feeder, this horse would try to come in before I allowed her to, so I would have to drive her away. I did this with just my body language and voice, but sometimes a flag works well. Horses are used to be driven away by other horses with subtle body languages, sometimes just a look, and other times something more pronounced like another horse pointing his head and pinning his ears. I found that horses learn very fast that polite behavior at feedings is expected, after all they want to eat. Another example is the horse in the video below. The very same day I brought him home I went into his pen to feed him. He was in the end of the pen and I thought someone did a good job at teaching him some feeding manners, so I turned my back on him to place the feed and that son of a gun came up behind me and pushed him away with his head. I turned quick to address this and the horse spun and tried to jump out of the pen getting his front legs momentarily caught over the corner before he fell back. He stayed in the corner, so I dropped the feed, but he still wary of me he would not approach the feed until I walked away. For the next week or so he would stay away until I dropped the feed and walked away. Then one day I had my back to him when pouring grain into a bucket on the ground and that horse put his head between my legs trying to eat. We were underneath an overhead cover too, so all I could do was quietly step away to keep him from spooking and raising his head therefore driving me into the roof. From then on out, I always make my horses back a couple steps up before I drop feed and not let me come in until I allow them. There are several horse people out there that advocate just setting things up so you can throw feed without any, what they sometimes call, dramatics. These people advocate minimal handling or bothering of the horses during feedings. I think just a little opposite. I think you should be able to control your horse during feedings, including brushing him or rubbing on him when he is eating. If the horse pins his ears, I'll just move him off, wait on him to show some understanding, then let him back in. I don't think my horses are worse off for this. To the contrary, I think it makes a more gentled horse. The horse in the video below is pretty much good at backing off, usually without my asking him to, and not coming to the feed bin until I ask him to or walk away. This also translates well to a horse in hand (on a lead rope). Maybe your hands are busy at the moment and you can't give a signal on the lead rope or mecate lead for the horse to back, so getting them good at backing under voice is a good tool to have.